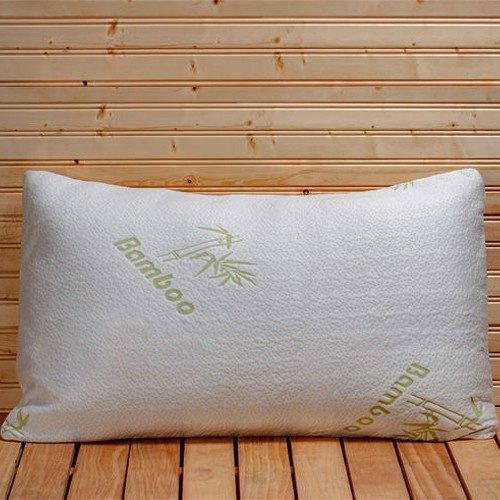 Bamboo Memory Foam Hypoallergenic Pillow Only $17.99! Ships FREE! You are here: Home / Great Deals / Bamboo Memory Foam Hypoallergenic Pillow Only $17.99! Ships FREE! Order the Bamboo Memory Foam Hypoallergenic Pillow for Only $17.99! Ships FREE! Sleep better than ever with the Bamboo Memory Foam Hypoallergenic Pillow. You can cradle your head, neck, and shoulders in a luxurious 100% shredded memory-foam pillow with a stay-cool bamboo cover. Replace your old pillow with Bamboo and add a touch of silky luxury to your bedroom. Bamboo’s natural antibacterial and hypoallergenic properties make it the ideal fiber to come in contact with your skin! Click here to check out more Great Deals!